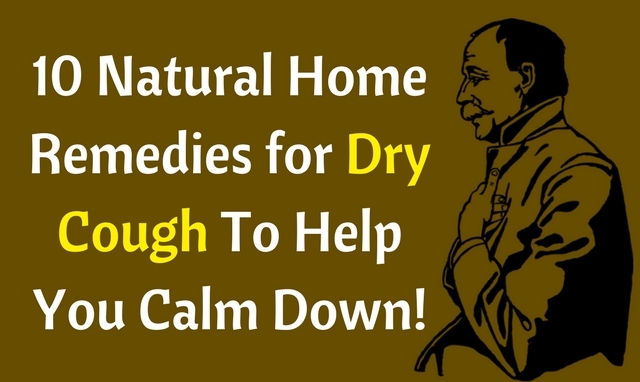 10 Natural Home Remedies for Dry Cough To Help You Calm Down! You are here: Home / General Wellness / How to get rid of dry cough using these home remedies? How to get rid of dry cough using these home remedies? It’s feels irritating when you have a dry cough. It hurts your throat and unremitting dry cough results in raw congestion. The ill-effects are not only physical but also social. It’s a timid situation when you have constant dry cough and you disturb an ongoing meeting and everyone’s eyes are starring you. It’s much more helpless, as it increases in nights and doesn’t let you have the rest you need, especially when you have cold. Dry cough is a cough that doesn’t produce any phlegm. You might have a sore throat and tend to have a tightening feeling on chest. You can consume lozenges and cough syrups for relief. But there are amazing natural home remedies for dry cough that are effective, don’t include any chemical formulation and taste a lot better than the cough syrups. Dry cough might catch you due to allergens, dust and bacterial and viral infections. The throat is swollen and on occasion you feel your respiratory system is blocked and you can’t get the phlegm out. Here are 10 Natural Home Remedies for Dry cough. Since they are natural, they are also safe to children who are resistant to take cough syrups. You’ll not be surprised to see the first three remedies. They have been used for centuries and are the most powerful one when it comes to treat dry cough. Honey has been the good old domestic remedy for dry cough. Honey has rich anti-oxidant and anti-microbial properties that efficiently heal your throat infections that cause dry cough. It also soothes your throat making you feel a lot better. It is advisable to take 2 to 3 tablespoons of honey three times a day when you cough. If you have constipation, mix honey with the same quantity of luke-warm water and have it. 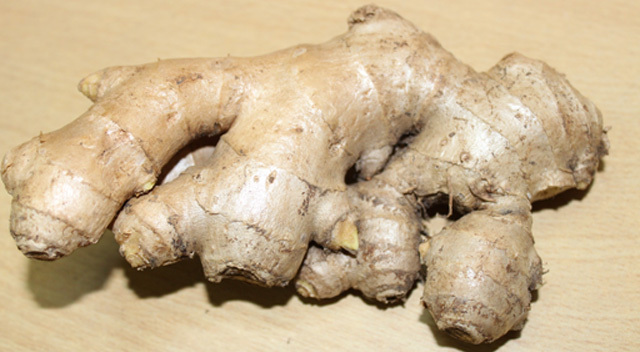 Ginger is a natural analgesic and you can find it as an ingredient in lozenges. It also has anti-bacterial, anti viral and anti-inflammatory properties that cures dry cough. It gives you a better breathing as it has a cleanse effect on the respiratory organs and eases the blocked phlegm. Add ginger to boiling water, boil, strain it and have it in the form of tea thrice a day. Or cut the ginger to small pieces and soak them in honey. Have the honey-soaked ginger whenever you need a relief. The golden spice turmeric is a miraculous healer not only for dry cough, cold and inflammations, but to your entire immune system. It has strong anti-viral, anti- bacterial and anti-inflammatory properties that fight against the throat infection and reduces the inflamed throat. It is worthwhile to add it in your cooking whenever possible. It works great when paired with black pepper. Add turmeric powder and black pepper powder to boiling milk and have it twice a day, before bed and in the morning before breakfast. Do not add sugar for taste; try alternative natural sweeteners like honey. Yes, the same old technique that will liberate sore throat. Your mucus membrane swells out due to the excessive salt contents. When you gargle with salt water, the salt inside the membrane is flushed out to balance the salt outside, thus helps reducing the throat inflammation. Mix about 2 teaspoons of salt to one glass of mild warm water, gargle for a minute and spit out, do this repeatedly for 5 to 6 times. Gargling two times a day helps more. Black pepper is loaded with anti-oxidants and is very useful in treating coughs and cold. Replace hot chilly sauce with black pepper whenever possible in cooking. This will have a good impact on your health. To treat dry cough, mix half a teaspoon of pepper in one teaspoon of pure ghee and have it whenever you have irritation on throat. Garlic has a splendid measure of anti-viral, anti-bacterial and anti-microbial properties that makes it an influential cure for dry coughs and cold and a significant immunity booster. Coarsely ground 6 cloves of garlic and add it to one glass of milk. Boil the milk and drink it before going to bed. This reduces coughing that increases during night. Onion has medicinal properties similar to garlic and heals chronic coughs and bronchitis. It also helps in healing dry cough. Cut onion to pieces, grind them and strain to get the onion juice. Add palm sugar to the onion juice and boil it, allowing the palm-sugar to caramelize to a little extent. Don’t over-boil it, it is enough for the onion syrup to mix up with caramelized palm-sugar. Taking this warm onion soup helps a great extent in alleviating dry cough. Else mix onions juice to honey, leave it for some 30 minutes and have it. The marshmallow root is a dominating herb to cure coughs. It is a natural expectorant and demulcent that slackens the mucus and gives a soothing effect. Have marshmallow root tea to get relief from dry cough, cold and respiratory troubles as well. 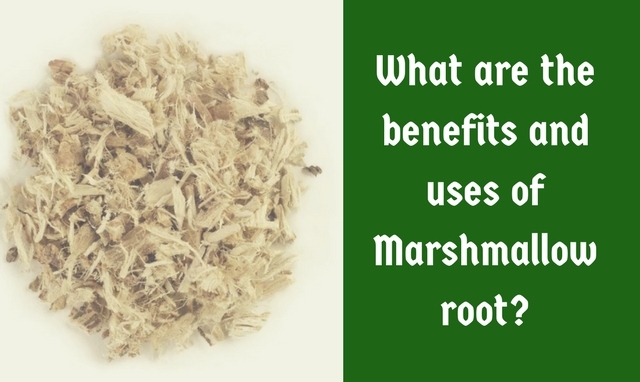 Check out the article ‘The Benefits and Uses of Marshmallow Root’ to know more about the useful marshmallow root. Liquorice is a sweet herb that has expectorant properties. This helps a lot in reducing all kinds of cough and especially the extreme coughs during night. To make liquorice tea, bring about one gram of liquorice to one small cup of boiling water, strain it and have. This doesn’t need any sweetener, yet you can add honey if you want and some cloves for flavour. Steaming is a useful technique that helps reduce dry cough. It literally loosens the mucus but is also helpful in treating dry coughs. Adding the correct essential oil works effectively. Tea tree is most helpful as it not only loosens the mucus, but also cleanses the respiratory system, kills bacteria and reduces cough. Another idea is to add mint leaves or mint leaves oil that helps better in treating dry coughs. Try these alternative home remedies rather than choosing chemically formulated medications for trivial problems like dry cough. Note that the quantity and dosage can be increased or decreased as per your wish; still you suffer no side-effects from taking such natural solutions. Try to include these ingredients in your food rather than taking them as medicine. Get well soon and Happy living! Dry cough at night is a serious problem. It is extremely painful and annoying. It can be caused by smoking, allergies, sore throat, bronchitis, dry air, and asthma. One of the option to cure dry cough is consulting a doctor and take antibiotics. But always remember antibiotics may have side effects. Here natural remedies are important. Thank you for mentioning them. A dry cough is not only persistent and annoying, but it can be painful as well. Dry coughs don’t often go away on their own, but if you went to the doctor every time you had one, you would likely be there every day. BTW the tips you mentioned in the article are great especially the use of ginger.